Brushing the teeth is a normal part of our daily routine. Having clean teeth and fresh breath adds a lot to a person’s image. If you are like us, who love to do research about different electric toothbrushes in the market, you will know that the Fairywill Electric Toothbrush is somewhat new to the market. 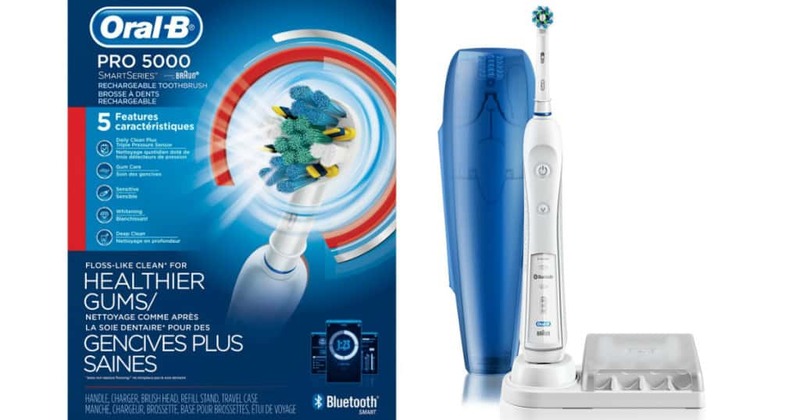 When you are planning to purchase an electric toothbrush choosing different electric toothbrush brands can be quite confusing, there are lots of factors that need to be considered. Is the Fairywill Electric Toothbrush better than a normal toothbrush that is commonly available in stores? Is it worth buying? Or Are you better off trying out other electric toothbrush brands in the market? 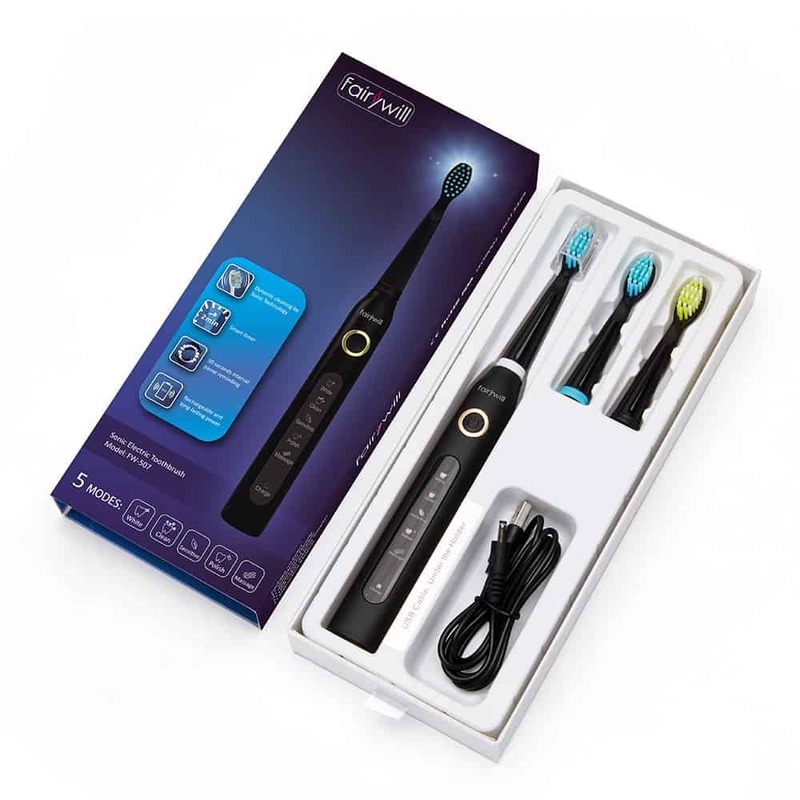 To make your decision easier, in this Fairywill Electric Toothbrushes Review, we will reveal to you the features of this product and hopefully, you will be able to have an informed decision after reading through this extensive product review. What is Fairywill Electric Toothbrush? The Fairywill Electric Toothbrush is made by a Chinese company, Fairywill. Despite being new to the electric toothbrush scene, Fairywill has somehow managed its way to the top based on its performance. The company mentioned that the Fairywill Electric Toothbrush has a 5-years life design which is a bit questionable and leaves me wondering if it is really true. It also comes with a guarantee of 1-year warranty and 180 days no questions asked return and refund. 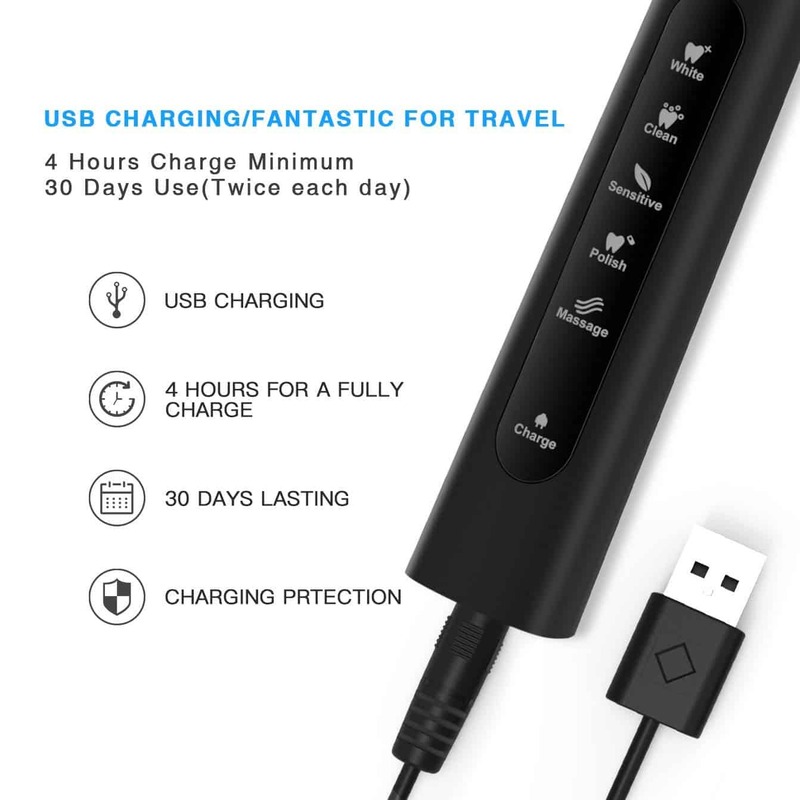 Before using the Fairywill electric toothbrush, you must charge it for 4 hours and you can bring it wherever you go, especially if you travel frequently for leisure or business trip. The toothbrush is designed with a 2-minute smart timer so you will be sure that you brush and clean your teeth for two full minutes. It also features an interval pause for every 30 seconds to remind you to move to another section of your teeth. White – It makes your teeth shinier, although I am not sure if it will actually remove the yellow stains on your teeth. If you want to use this toothbrush to get rid of the stains on your teeth, teeth whitening products like whitening toothpaste or whitening strips are the ones you are looking for. Clean – This mode cleans and removes all the food particles stuck in your teeth. Sensitive – This mode is recommended for those who have sensitive teeth and gums. Polish – This mode polishes and makes your teeth shine brighter. Massage – This mode is perfect for massaging your gums. You can really feel how the bristles move gently to clean and massage your gums at the same time. 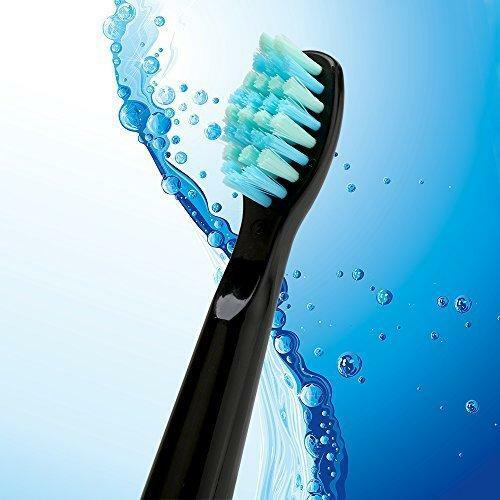 It is made with lightweight materials making it only 55 grams and it is smaller than the other electric toothbrushes in the market. It is easy to use with reduced noise and it comes with 3 replacement heads included. Compared to other famous electric toothbrush brands, the Fairywill Electric Toothbrush has a longer battery life that may last up to 30 days of use and can be easily charged by a USB charger. It has an auto shut off feature when it gets a full charge. It also reminds you when it has a low battery. The brush bristles are made with DuPont nylon which helps clean the teeth, gums, and hard to reach areas of the mouth. It is designed with rounded bristles that are safe and gentle for brushing. It has an anti-slip handle and bristle cover. Clean your teeth effectively with Fairywill Electric Toothbrush! How Does Fairywill Electric Toothbrush Work? The Fairywill Electric Toothbrush works just like any other Electric Toothbrushes. It comes with 5 different modes which make it easy to use for anyone, adults, children, and even elderly people. 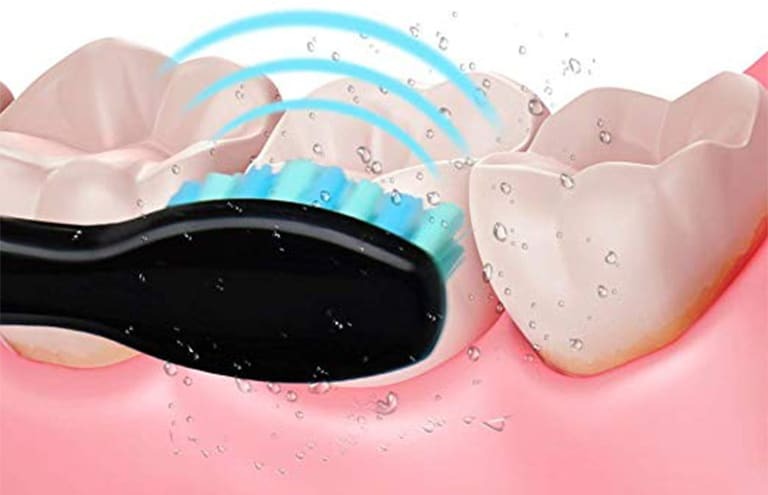 It has a powerful cleaning with 40,000 brushes per minute that can clean your teeth and remove plaque and prevent cavities and tartar by using it regularly. You can have clean and healthy teeth and gums by just using it in 7 days. Has a fragile design and it is easy to break. 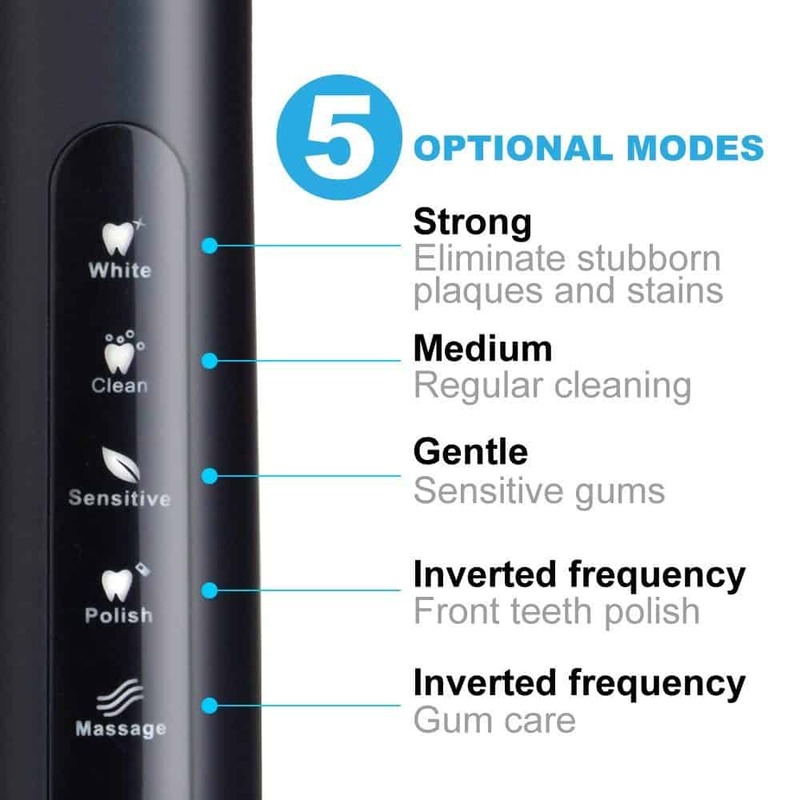 Weak vibration power compared to other electric toothbrushes in the market. It does not come with a charger, you will need a cellphone charger to charge it on a wall socket. Brushing modes are almost the same, there is no significant difference. Claims to be waterproof but I think it is really just water resistant as the manual it comes with mentions not to soak the toothbrush under the water for a long time. Cheaper price compared to its counterparts in the market. It is designed with 5 cleaning modes that will suit your personal preference and it has a built-in timer. Good battery life, just charge it using a USB charger for 4 hours and you can use it for 30 days or more. 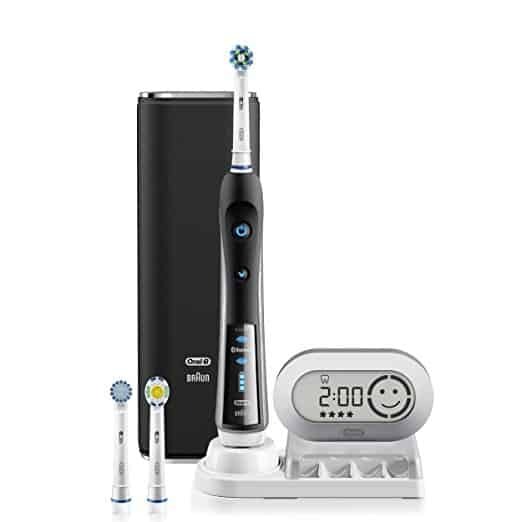 How Much Does Fairywill Electric Toothbrush Cost? What is included in the package? The Fairywill Electric Toothbrush is available to purchase on Amazon and the listed price is $29.95. There is a 2$ discount coupon included, if you purchase it the discounted price will be $27.95. It comes with a 1-year warranty and a no-hassle 180 days return and refund within the date of your purchase. Fairywill Electric Toothbrush has a total rating of 4.4 stars out of 5 on Amazon, with more than 2100 reviews and here are some of them. There are negative reviews for the Fairywill Electric Toothbrush, check out the negative review I have found on Amazon below. Where Can I Buy Fairywill Electric Toothbrush? The Fairywill Electric Toothbrush can be purchased on Amazon as you are guaranteed that you are buying a legit and safe product and it comes with a 1-year warranty and 180 days no hassle return. Read the customers reviews on Amazon here ($27.95). The Fairywill electric toothbrush is a great electric toothbrush that works great to clean your teeth and gums and you can get a lot of features for a cheaper bargain. 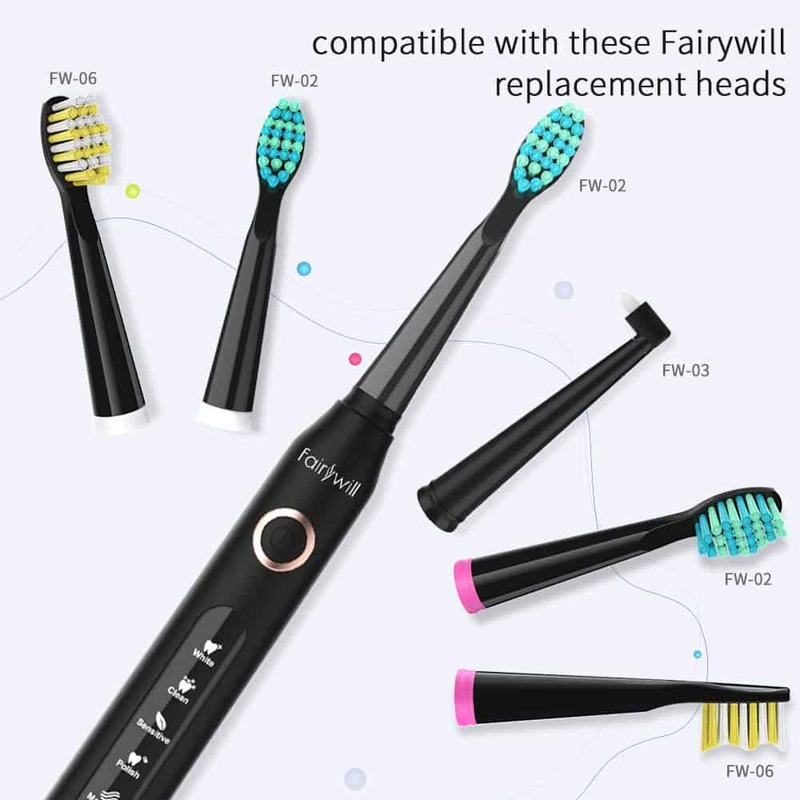 If you compare it with its other counterparts in the market, you can see that there is a lot of similarity with their features and you can see that Fairywill toothbrush is one of the most recommended toothbrushes online. There are 5 cleaning modes and you can choose which one works for you best. I personally prefer using the whitening mode as it cleans my teeth well and also helps me remove the slight stains on my teeth. If you are someone with dark teeth stains, teeth whitening products are the one for you. 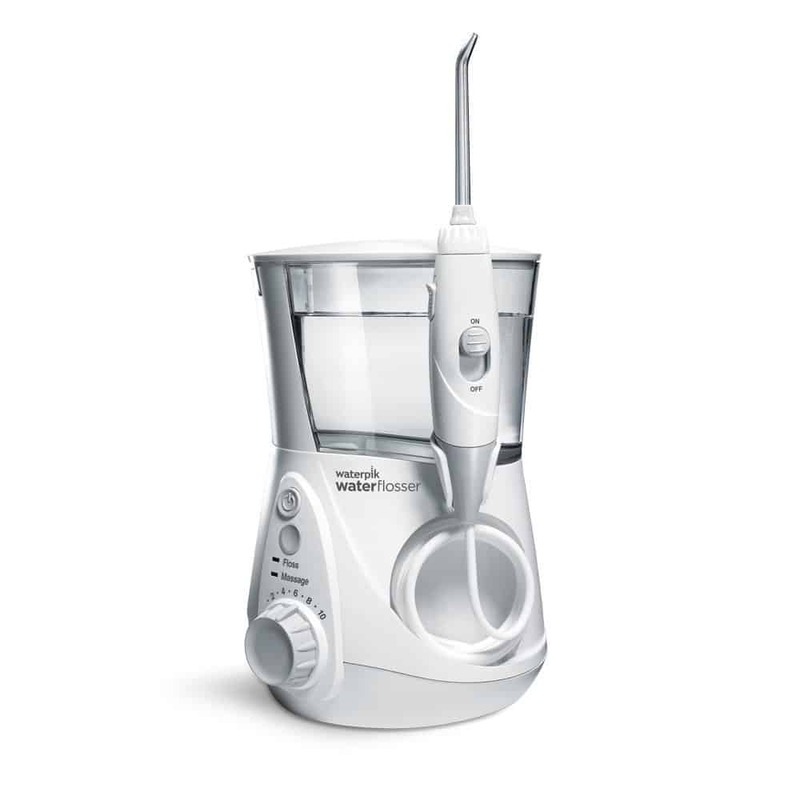 It is also built with a 2-minute timer and with 30 seconds interval that reminds you to move on to the next section of your teeth so you can have clean teeth and gums and fresh breath every time you brush your teeth. If you are a frequent traveler this toothbrush is perfect for you. In just a few hours of charging using a USB cord, you can use the Fairywill electric toothbrush for up to 30 days. It is also lightweight and has a petite size making it easy to carry inside your pouch. Just make sure not to submerge this on the water as it may ruin the toothbrushes’ USB port. If you are curious and you are on the lookout for a new electric toothbrush that you can use daily and even while you are traveling, Fairywill electric toothbrush is for you. There is no harm for trying as it comes with a 1-year warranty and within 180 days of your purchase you can request a no questions asked return and refund if the product fails or if you are not satisfied with the results you get from it. Q: Does the Fairywill Electric Toothbrush come with a warranty? Can it be returned? A: As long as it is within the 180 days of the date of the purchase of the Fairywill Electric Toothbrush. Q: Can you use it inside the shower? A: We advise you to use it on the sink to prevent the USB port from getting wet. Q: How many brush strokes per minute do the Fairywill Electric Toothbrush produces? A: This toothbrush has over 40000 strokes per minute. Q: Is the vibration light and gentle for the teeth and gums? A: The Fairywill Electric Toothbrush has different settings and you can use it according to your preference. Q: Can you bring it with you while traveling? Is it chargeable and comes with a USB cord? A: Yes, in fact, you can charge this toothbrush on your laptop using the USB cord it comes inside the package. You have an option to charge it using a wall charger for your mobile phone. let me first of all thank you for this wonderful and incredible blog post. I must say this is an eye opener on how to clean our teeth. I love the way you outlined the review of this electric toothbrush. Thanks for giving the clear picture of it’s advantage and disadvantages. 1. Can it be shipped down to Africa? If you go to Amazon and place an order, they should tell you whether it can be shipped to Africa or not. I like the massage addition it has, but I don’t like about the charging. If they have something so well developed, why in Orth they couldn’t bring a loadstation with it? I would buy it, but because of that, I won’t. And that is very sad, because it looks a very good one. Thank you for this amazing post, I find it really helpful and nice. Electric toothbrush is a rare product in this part of Africa and I am glad I stumbled on this post. Am quite surprised that it makes 40,000 per minute and at less than $30 it is highly affordable. I will order for the fairywill on amazon . I didn’t realize such a high-quality electric toothbrush could be so affordable. I’m used to to seeing toothbrushes like the Fairywill cost hundreds of dollars. This is a steal to me! The fact that the toothbrush isn’t waterproof doesn’t bother me. I’m fine with just using it at the sink. It might be fragile and easy to break, but at about $30, I wouldn’t mind replacing it. 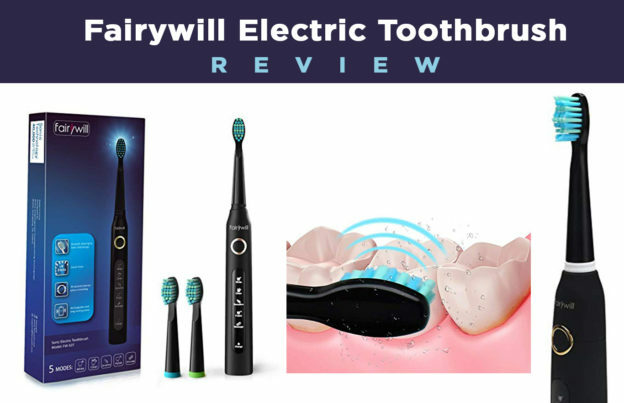 Thanks for your review of the Fairywill Electric Toothbrush!